List your property here and access thousands of renters. At the top of this page, click "List Your Property". Select the appropriate package type for your coupon & click the "continue" button. Next setup your email, password and owner information. On this same page, enter your COUPON CODE. Click "Save Account & Proceed". 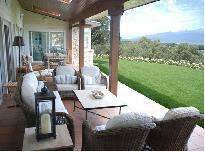 On property setup page (next page), enter information about your vacation rental. To complete your listing, click "List This Property" at the bottom. Welcome to Vacation RentAway where you can search for your dream vacation rental and home away from home. The perfect vacation starts with finding the right accommodations. Say goodbye to traditional lodging and claim your very own private space with a vacation rental. The beach, mountains, city life, or wherever your destination takes you� vacation rentals come in all varieties. 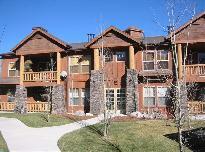 Choose from homes, villas, condos, cottages, townhomes, cabins, apartments and more. Simply choose your destination, check out available vacation rentals, photos and amenities. Select your favorite, then contact the owner to complete your booking and you're on your way to your dream vacation! List your property on Vacation RentAway for exposure to highly targeted vacationers. For listing packages that start as low as $2.50 per week (Standard Package), you receive your own web page, property photos, availability calendar, language translation, Google property map and more. Access your site 24x7 to edit your content, pricing, photos and manage other details about your vacation rental. With Vacation RentAway, you're in control. Start listing today to increase your property exposure and bookings. Beach villa, ideal for Athens and sightseeing.